We often get requests of teachers from kindergartens and elementary schools with a request to provide them with the Mat-puzzle in the shape of a circle. Such requests have become more frequent and so we decided to make the circle series. For our customers this means not only the constant availability of this product in the assortment, but also a lower price. Why the circle? 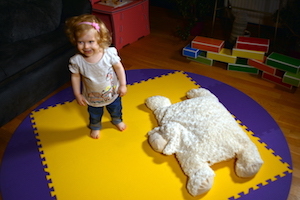 Because this Mat creates a more harmonious environment. It is ideal for a variety of games, stories, or read fairy tales. Circular cover will appeal not only to children in kindergarten, but also at home. Of course, in the small space of the usual room is logically more appropriate Mat square shape. On the other hand, the possibilities of our new Mat is not limited to circle. You can use some of the details as needed. For example, you can use a quarter circle and you will have the perfect Mat for the corner of the room. You can choose plain rug that harmonizes with the rest of the room design. Or you can choose the more fun option of multiple colors. Like other similar products, it serves primarily as a mild insulation from the cold floor. Children's imagination has no boundaries. From the carpet you can make a variety of shapes, tasks, study of the shapes (square, rectangle, circle) and their parts (quarter, half, etc. ), can serve as the basis for training time. Colored version you can get even more. 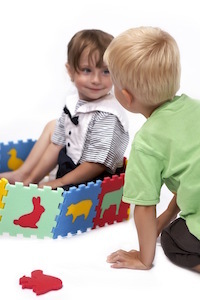 Children will learn to recognize different colors, four-color option can help the familiarity of the seasons (green is spring, red – summer, yellow – autumn, blue – winter). With adults you can play in your favorite twister.